Do you accept new NHS patients? Yes. All the dentists in our practice are currently registering new NHS patients. For more information, please take a look at our NHS services page. Some services aren’t available on the NHS, like tooth whitening and implants. Being treated on a private basis will also give your dentist more time on each treatment and allow us to use optimal materials and tools. For more information, please take a look at a few of the services we offer. What is the Woodside Crescent Dental Plan? 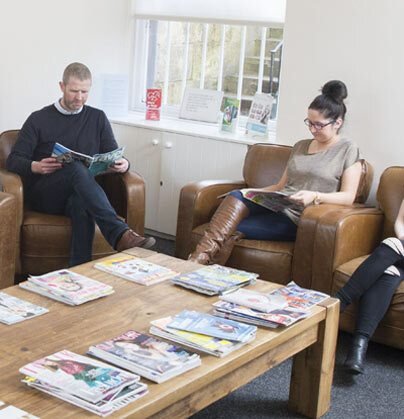 The Woodside Crescent Dental Plan is a monthly payment scheme which can reward you with various fringe benefits and private treatments provided to the highest standard, including visits to our hygienist. It also includes an insurance element that will cover emergencies while you’re away from Glasgow. For more information, take a look at our dental plan page. How can I register with the practice? To register with the practice, please call 0141 332 4622 and our staff will be happy to help. We’ll be taking several personal details from you, so emailing us isn’t the most efficient option. We’ll always provide you with a written estimate for your treatment at your check-up appointment and let you understand available options for you in plain language. For more information, please look at our fees page. Will I need to pay a deposit for certain appointments? To protect us from any patients failing to attend, we will sometimes take a small deposit which is fully refundable if no appointments are missed or cancelled at short notice. Why do you charge patients for missed appointments? Every time a patient misses an appointment, we lose money. Like all dental practices, we protect ourselves from this by charging an appointment fee for missing or cancelling an appointment. We’ll need the charge to be paid before you can book another appointment. Which payments types do you accept? We accept cash, debit and credit cards, including American Express. What should I do if I’m unhappy with the level of service provided to me? We do our best to provide you with the best and most professional service we can, but if our service isn’t up to your standards, please take a look at our feedback page for more information. Individuals have had a right to information held by public authorities since January 2005. Dentists offering NHS care are listed as a public authority. You may view and download a copy of our Publication Scheme below. Our patient information leaflet includes much of the information that is required. You may view and download a copy of this below. New regulations in May 2018 require us to inform patients about the information we hold about them. Please click the link below to view our Patient Privacy Notice. To book an appointment, please click here to get in touch.